jeu en anglais de la série GBOH consacré à la guerre des Gaules. 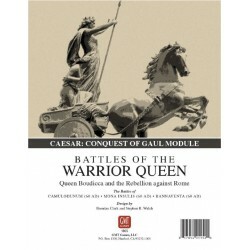 In 58 BC, Gaius Julius Caesar was appointed by the Roman Senate as proconsul for Gaul, for which he was given 4 legions. 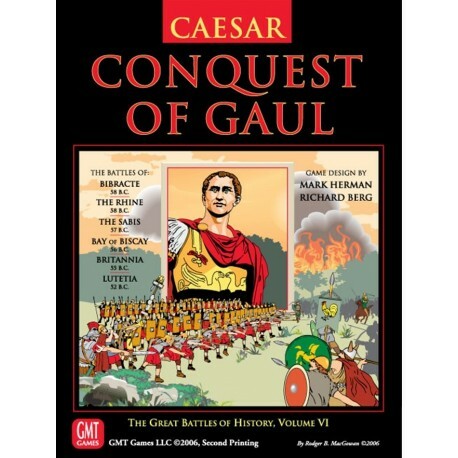 the ambitious Caesar, a military ingenue, had little idea of how lucky he was going to be -- as he was in usually everything he did -- because, within a short space of a few years, after coming to the rescue of the Gauls against incursions from Germanic tribes to the east, Caesar himself decided to bring the rest of the barbarian tribes under the domain of Republican Rome...and, at the same time, increase his visibility among the Roman people. From a military point of view it was an immense achievement, one that fueled Roman imperialist feelings like no other war. For the Gauls it meant subjugation. For the gamer, it means six battles of Pure Excitement. 58BC Caesar is called on by the Aeudui to repel the Helvetii. Caesar corners the Helvetii near the Aeudui oppidum, Bibracte, and forces them to attack him. The Helvetii fall back, regroup and, as Caesar's legions march toward them, attack again. At this moment, contingents of the Boii and Tulingi tribes hit Caesar's right flank. 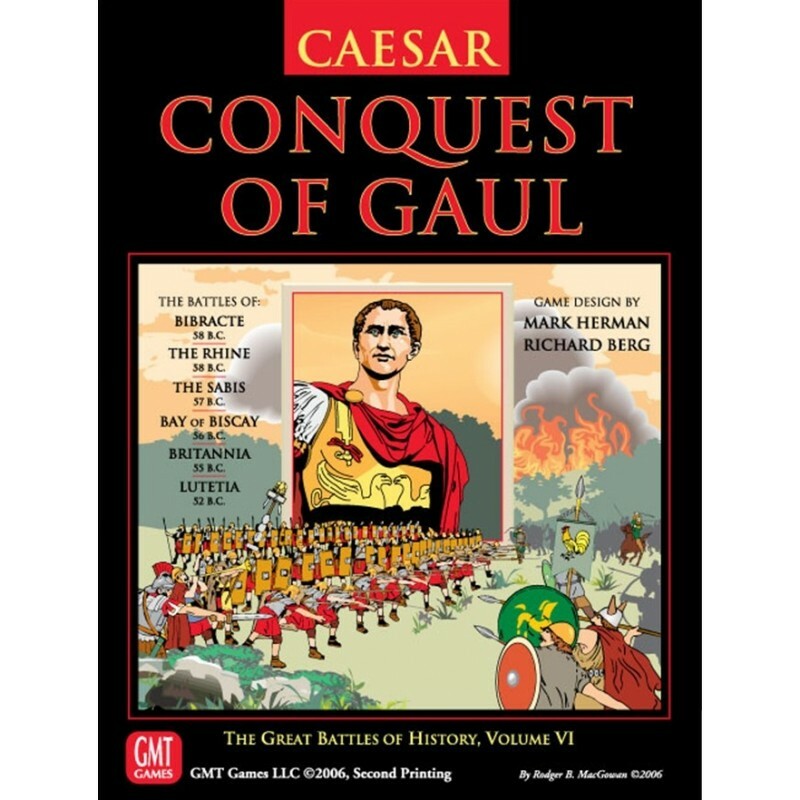 58BC Having defeated the Helvetii, Caesar is now asked by the Gauls to do the same against the aggressive Germans. The German tribes are led by a very capable and wily chief, Ariovistus -- he outmaneuvers Caesar to cut his supply line, to which Caesar reacts by outbluffing the Germans so that their lines are now cut. 57BC Having decided to pacify Gaul, Caesar realizes he will have to start in the north, with the Belgae, the most dangerous tribe. He marches against them, reaching the banks of the Sabis (today, the Sambre) River. Without warning the Nervii and their allies, the Viromandui and Atrebates, emerge from the woods in full barbarian fury. 56BC The sea-oriented Amorican tribes of NW Gaul proved most difficult. They could not be defeated on land, so had to be attacked at sea. For that purpose, Caesar had his men build an entire fleet of biremes from scratch in less than two months. The Roman fleet, under Admiral Decimus Junius Brutus faced a difficult foe. 55BC Late Summer, and Caesar decides to cross the Channel. A fleet of 80 warships and transports reach the shores of Britannia near modern Dover. But their cavalry has been dispersed by a storm, and the Romans have a difficult time beaching their galleys. The Romans are beset by large numbers of Britons. 52BC There are rumblings of a Gallic uprising, and Caesar sends his right-hand-man Titus Labienus, with four legions, against the local tribes around what is now Paris (Lutetia). After some up and down river maneuvering by both armies, the Gauls attack Labienus in a classic set-piece battle that serves as a learning scenario. 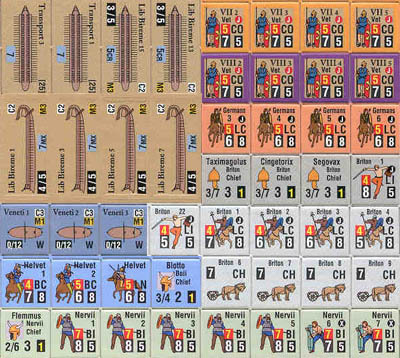 840 multi-colored counters representing every type of fighting unit seen in Caesar's Conquest of Gaul. 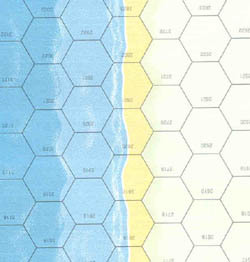 Player Aid Cards: One double-sided 8.5x11" card and one 11x17" card showing game charts and tables. Eight of Rome's most vaunted legions, including Caesar's favorite, the Xth, and its maximum-rated 1st cohort...each with its own artillery, auxiliares and hired cavalry. Ten tribes of sword-armed, axe-throwing barbarian infantry, fueled by special rules for Barbarian Impetuosity and Ferocity. For the first time in the GBoH system, war galleys, sail ships and transports...all in a preview of the Naval Warfare system for the series. 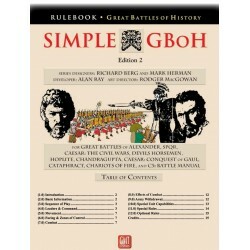 A much simplified command system (as opposed to the hierarchical system in Julius Caesar: The Civil Wars), reflecting the smaller Roman armies as well as the leadership theories of the tribes. 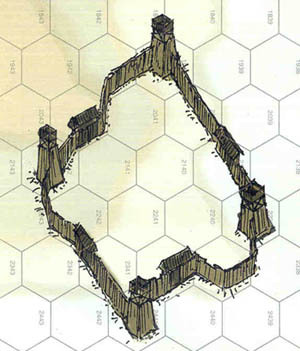 All three major land battles of the war, a full-scale invasion scenario as well as a smaller battle perfect for getting a feel for the game. Special rules for Hit and Run tactics, as well as revised artillery use mechanics. The feared German cavalry...a combination of light horse and light infantry so effective that even the disciplined Romans sought to avoid confrontation. A system that is perfect for solitaire play.